Material . : Organic Cotton Organic is a production method that does not pollute the environment, does not destroy the ecology, and provides consumers with health and safety products. It does not use chemical fertilizers and chemical pesticides. The cultivation condition of "organic cotton" is cotton cultivated in organically transformed fields after three years of chemical fertilizers and chemical pesticides. Since 2013, We has been committed to the research and cultivation of organic cotton in Taiwan. 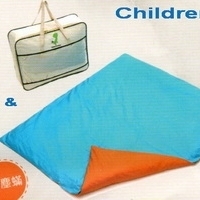 We are currently the only one who has successfully certified organic cotton in Taiwan and has developed many products. Re : Quilt cover, duvet, curtain...etc This is our great pleasure to have time to contact you. We are a manufacturer, exporter of the above mentioned items so we would like to supply our products to you. Please reply with your detailed requirements for further progress. Please review attached images for your kind reference. We are looking forward to receive your kind reply. 100% Cotton printed fabric comforter Comforter 220 x 240cm,250gsm polyester filling Pillow case 50 x 70cm x 2, Cushion cover 45 x 45 x 2 5 pcs/set. Short on time? Let quilt sellers contact you. 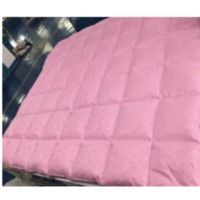 The Quilt products are included from differnt categories of Yarn, Weaving & printing technologies based on the customer requirements for both Organic and non Organic materials. Yarn Varities : Cotton, Linen, Polyster, Jute, Viscose and blended fibres. Weaving Category: Plain, Dobby, Leno and Jacquard yarn dyed items Printing Methods: Pigment, Reactive, Discharge, Kaddy and Digital prints. Cloth wise - Plain, Twill, Drill, Duck, Weave and Oxford with differnt count and construction. 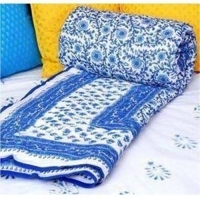 We are offering Jaipuri Quilt / Razai as per your choice. 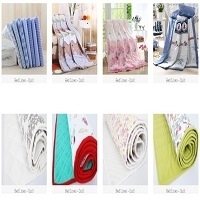 Bed sheets, duvet, quilt, women and mens apparels, cosmetic mask pack. 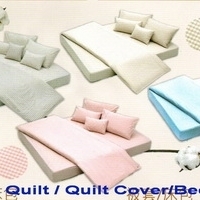 100% cotton or Poly Cotton, 200 tc, 300tc, Polyester Filling quilt cover with OEM service. Heirlooms #1 item queen 6, 000 each , there are 1units per pkg, total 123, 000, usdollars, bt. Heirlooms #1 item king , 100 x 100, 12, 300, there are 20 units per pkg, total 123, 000. Quilts are made from high quality of fibres & clothes with exclusive packing of bags & boxes .. Each quilt is weighted between 4-6kgs.